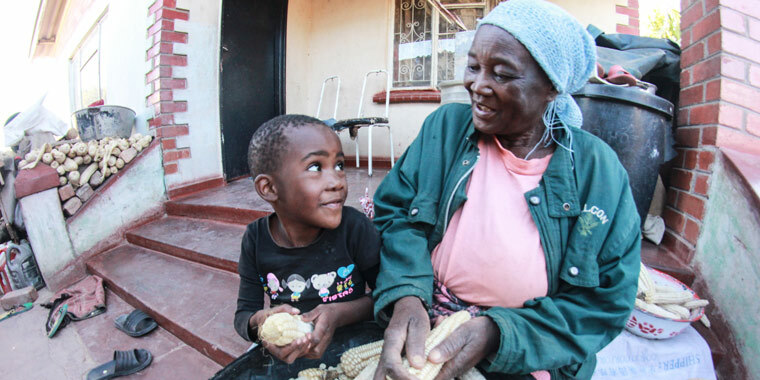 For Elube Phiri, who is raising seven grandchildren on her own, SOS family strengthening support has allowed her to keep the children in school and provide for the basic needs of her family. Elube Phiri, 68, has breast cancer. She was diagnosed four years ago and had a mastectomy. She has bouts of pain that sometimes lasts up to two weeks, and the cancer treatment has caused Elube to develop heart problems. But her health is not the main concern for Elube, child care is. Elube has seven grandchildren who depend on her. Five were abandoned by their parents and two are orphaned. The eldest is 28 years old and the youngest is six. The family lives in Chitungwiza, a low-income neighborhood in the environs of Harare, Zimbabwe’s capital. It has been challenging for Elube to take care of the children. At first, as she did not have any moneyto buy food; she exchanged clothes for grain to feed the family. She struggled with school fees and three children were out of school for a long time. When her husband was alive, he used to help her, but he died 15 years ago. These days, farming is her main source of food. She farms with the help of her 28-year-old grandson, who has become her main support. He does not have a job after dropping out of high school, as Elube ran out of money to educate him further. Chitungwiza is a densely populated neighbourhood with high levels of poverty and poor sanitation. The crime rate is rife and so is drug abuse. School keeps children busy and away from the streets, protecting them from being drawn into vices that would negatively affect their lives. “Due to my bad health, I cannot work for long or lift heavy items,” says Elube. 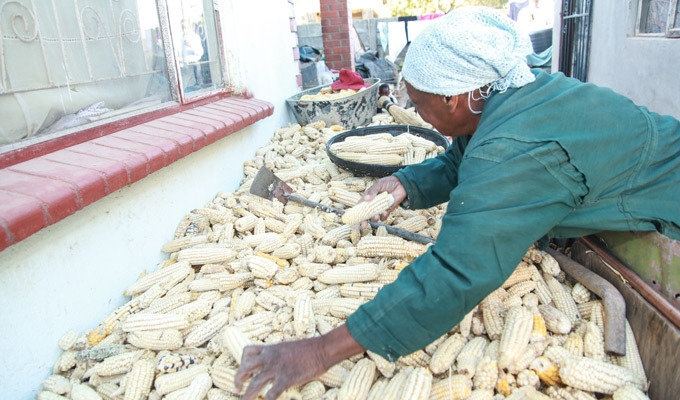 “I spend the day here, shelling maize for my grandchildren to eat,” she says, sitting on the steps leading to her house. The SOS team trained Elube in business skills and parenting, as well as how to be a productive member in the village savings and loans scheme. They provided stationery for five children and started paying half the fees while Elube paid the rest. Elube is relieved that her 20-year-old granddaughter will receive education support through vocational training. To earn money, the grandmother sells firewood, second-hand clothes and kitchen utensils by the roadside outside her house. “I borrowed $250 USD from our local savings and loans association to increase my stock and to buy uniforms for my children,” she says. While the demands of child care have weighed down Elube due to her advanced age, she says that the family’s living standard has significantly improved due to the SOS family strengthening support. She now has a bit of extra money and has managed to pay for cooking pots, fix her fridge and acquire a television set for her grandchildren to enjoy.